The famous inventor Charles Kettering once remarked, “Action without intelligence is a form of insanity, but intelligence without action is the greatest form of stupidity in the world”. His quote highlights the importance of connecting what we know, to what we do as the only real way to be sure we will achieve what we want. We are getting better at this but there are still many cases where our actions are not fully supported by what we know – our data-to-decision journey is not a complete one. 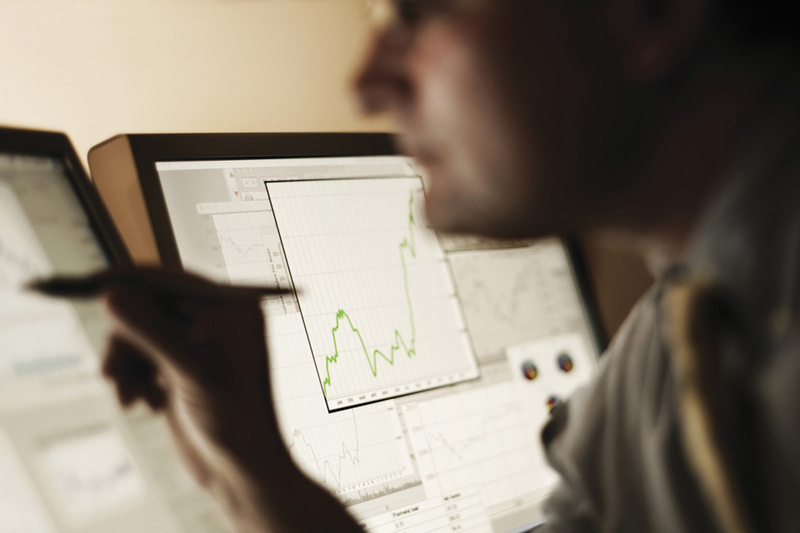 We’ve all seen examples of where the data-to-decision journey has fallen short. Consider the many reports that get produced which distil huge amounts of data into wonderful graphics, charts and tables which neatly describe a situation but leave you thinking so what? You are none the wiser as to what is really happening, why it is occurring or what you can do about it. Working hard to process data which doesn’t link to a decision constitutes a huge waste of time, effort and resource. So what steps are involved in the data-to-decision journey? As the illustration above shows, raw data can be transformed and distilled into cleaner and more comprehensible forms. 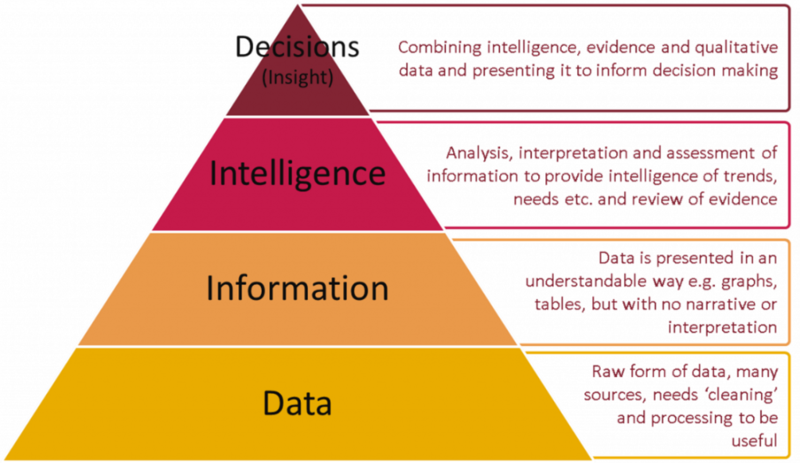 This information, when placed in context and linked to evidence, can provide intelligence and insight which if communicated in the right way and to the right people can better inform decisions. Each step in the journey requires access to a variety of system and infrastructure enablers, such as the right policies, IT hardware/software, leadership and organisational culture, and to people with the right technical skills. Specialist knowledge is also an important catalyst in moving data between each step and along this journey. Ensuring that a system has access to these skills and making sure the diverse workforce within that system remains connected, is essential if we are to ensure our decisions are best informed by the data that is available. PHE’s local knowledge and intelligence teams around the country have been in a position to observe some of the skill and infrastructure gaps that exist within local population health systems, and also some of the opportunities to mobilise the skills and learning that are dispersed across systems to build capability and capacity. 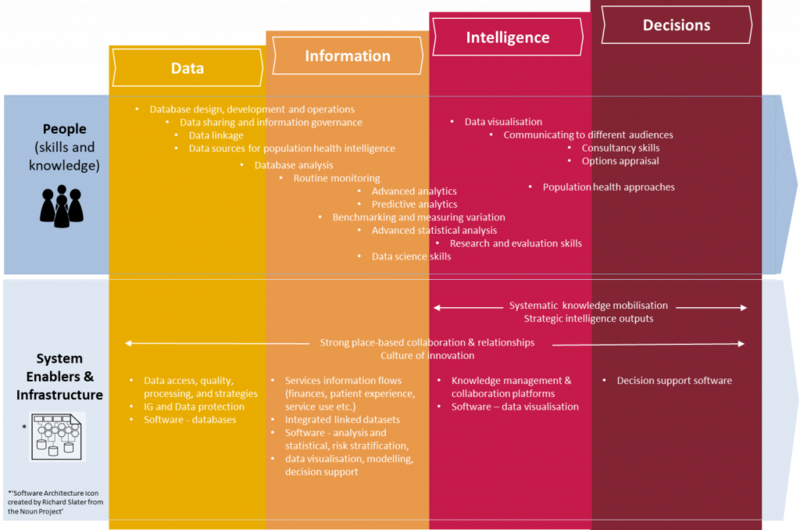 We have developed a framework to draw attention to the skills, knowledge and system enablers that are required to support a data-to-decisions journey so that local areas can assess whether they have the right capabilities in the right places. The framework provides a simple way of capturing the fundamental components of an effective place-based population health intelligence function and has been designed to cater for the needs of both individual agencies and also local partnerships which may comprise of a number of local authority, NHS, fire service, police and third sector stakeholders. The need for integrated intelligence functions has been brought into sharp relief by the emerging population health management agenda and the framework also aligns well with the population health systems approach described in the recent Kings Fund report on population health. PHE has been working nationally with NHS England (NHSE) and other arms-length bodies to shape a support offer aligned to the components that make up the framework. By using the framework, local systems can identify the best place to go to for support. For example, a developing health and care system may wish to call on specialist and expert IT input from NHSE or NHS Digital to address an infrastructure gap. Alternatively, it may be that the framework draws attention to an under-capacity of interpretation and influencing skills which could be addressed by accessing some of the courses within PHE's Population Health Intelligence Training Prospectus. The growth of big and novel sources of data and evidence alongside advancements in complex data science techniques makes it an exciting time to work in intelligence, but with this comes a risk – namely, that genuine insight is buried beneath a mountain of inconsequential analysis. The framework is not a solution to this problem but it has been designed to facilitate a conversation about where local systems are, where they would like to be, and what support might be available. If you would like to know more about the framework or are interested in joining a community to support its application, including the development of a PHI skills mapping tool and a functional specification for local PHI systems then do please get in touch. matt.hennessey@phe.gov.uk, gareth.wrench@phe.gov.uk, jake.abbas@phe.gov.uk.